Getting There - please allow plenty of time! Due to the size of the event we would always recommend coming by foot if possible. We now have 2000 spaces available courtesy of Beaconsfield Town FC, Hall Barn Estate and The Beaconsfield School. 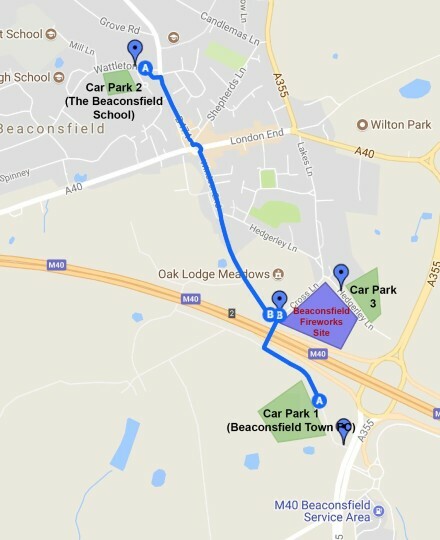 Please visit the website www.beaconsfieldfireworks.com for full details & directions.